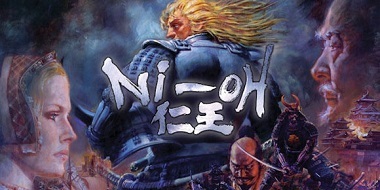 Ni-Oh is an incredible game. It also gave me so much feudal Japan fantasy goodness that I frankly feel burned out on the whole setting. Hence, skipping Sekiro for now. It's good, just a shame that it's wasted on such dull and repetitive enemy design. :/ If they could make a Nioh 2 where they focus a lot more on level and enemy/encounter design, I'd like the game a lot more, that's what I want from a sequel. Nioh 2 has so much potential, and I'm glad they're going with a character creator this time round. It surpasses anything from has done and only sekiro is close. Yeah, it's great. The combat is fast, fluid and visceral with plenty of weapons to mess around with. Team Ninja did a great job in this department. I definitely agree. It's easily one of my favorite things about the game, and I can't wait to see what else they could do with it in the sequel. Even though I played in low stance for the sweet iframes it’s crazy how much variety the move sets of the weapons had. The level design isn’t but the combat trumps anything fromsoft has made. Then again the biggest difference is how they both handle weapons. From splits movesets between gear while Nioh is per weapon class. I really hope Nioh 2 is amazing, they’re the only competition to from in the souls-like 3D space in my eyes. The Playstation EU product manager got to play the game a month or two ago and he enjoyed it. Previews might come up later this year. The early word on this game made it sound like the unfair sort of difficult, but your character is so smooth and responsive that you feel perfectly in control. I still remember how immediately exhilarating the game's first battle against basic mooks is. The way you can dash in and out is beautiful. Also, some of the levels are so atmospheric. That first level in the pirate harbor in the torchlit rain at night, for example. Yeah Niohs combat felt so good. I agree with OP. Not as good as Dark Souls 2. If the demo is still available I will re-download and try again. The first go with the demo I found it to be pretty dull compared to Dark Souls/Bloodborne. edit: looks like it was just a beta I was playing and no longer available. Decent combat coupled with thrash tier loot system, enemy and map variety (don’t even mention phantoms they are garbage), story and acting makes it my most disappointing game this gen.
Is it releasing this year? Yep, it's definitely phenomenal, the best I've ever played in the genre. I legit finally bought the complete edition 3 days ago on PC. I mean the GOAT DMC5 came out this year, the king of combat. But anyway I really need to get NIOH one day its probably amazing, not crazy about the shlooter mechanics tho. This is not a thing we're doing. Also I’ll forever be sad that the future press guide was canceled. Would love for them to get a stab at 2 and maybe even the first with all DLC. Nioh has GOAT souls combat. I havent played Seikiro yet. The combat is definitely really fun, it's really a shame the game feels so padded out, because it's an incredible 25 hour game pushed to 50. Mechanically I think Nioh is superior to anything in the Souls series. From's strengths lie elsewhere. One of the best games of the Gen in my honest opinion. I know a lot of people complain about the games length, but I loved going through every mission on my first run. Can't wait for Nioh 2, super excited to see how they've improved the formula. The combat is at its best around WOTS/WOTD. When you get to WOTW, WOTN, and the Abyss, it becomes watered down into putting on 8 buffs, draining your life, and then popping Living Weapon to one shot everything because everything one shots you and it feels really repetitive. There's other builds of course, but the enemies get so tanky in these difficulties that I don't want to bother. I feel like I'm missing out knowing that there's a good 4 or 5 other weapons all with their own spiffy special moves/abilities (that can actually be useful no less as opposed to say most of DS3's weapon art stuff) that I've never even toyed around with. But hey, that's what Nioh 2 will be for. In any case I got some good mileage out of the axe and lance. this really irk me for no reason, why not just call them From games? Neither can I. Best combat ever. Running with Dual Swords gives me many options in each stance. I do enjoy spinning and I do enjoy winning. There isn’t a hyphen in Nioh. Why are people doing this. There used to be. I think it was meant as a pronunciation aid, but they gave up because people just kept pronouncing it "Neo". It's incredible, but I feel like the game doesn't do much with it and I found the bosses boring, it still hurts that I ended up dropping the game when I have finished every modern FROM game, it just didn't grab me... also the loot stuff just no. this really irks for more no reason, why not just call them From games? lol same! But oddly enough waiting for the next game to be attached to it! By from next like 5 game we'll be summoning some sort of creature with all we have to say. The fact that the combat mechanics carried me through every side quest in the game, every repeated map, and every repeated boss battle is a testament to how pristine and well balanced it was. A plethora of options, a truly rewarding risk / reward system, and beautiful combat feel. Yep! Still the best combat system of all time for me. I just wish they add much more enemy variety for the sequel. No matter how good the combat system is it always gets boring and repetetive without great enemy variety. Had the same issue with recent God of War. The combat system in Nioh is godlike. A masterpiece in that respect. I love the tonfas. Itemisation makes swapping styles kinda pointless. I stuck with mid-spear for the entire game, because why bother.